This program provides the course work to meet the educational requirements for certification in Health Information Technology and Medical Coding. The Coding Specialist Certificate is a 34-credit hour program designed to prepare students to understand medical concepts, terminology and accurately code medical records for hospitals, physician offices, clinics and other health care providers. Accurate coding is critical to health care providers because of its affects on reimbursement, compliance requirements and other federal and state regulations. Upon successful completion of the Coding Specialist Certificate program, students are eligible to take the Certified Coding Associate exam (CCA) offered by the American Health Information Management Association (AHIMA) with opportunities for advanced certification. A 60-credit hour Associate in Applied Science Degree is also offered, in which students receive extensive training in medical records management in hospitals, clinics, government facilities, and other medical facilities. Graduates are eligible to take the national registry examinations for certification as a Registered Health Information Technician (RHIT) and a Certified Coding Associate (CCA) given by the American Health Information Management Association (AHIMA). Individuals with the RHIT and CCA credentials are in great demand because of the growing number of health care facilities. Graduates of the program may be able to transfer some acquired credit hours to a baccalaureate degree curriculum. The number of transferable credit hours can be maximized with appropriate faculty advisement prior to and during the student’s enrollment. Interested in continuing your education to a baccalaureate degree? Del Mar College HIT courses transfer to other university online settings. Some of these include Texas State University and the University of Cincinnati. Former students who have continued their education at the above listed schools have achieved their RHIA certifications! The Health Information Technology program has an 88% student retention rate. 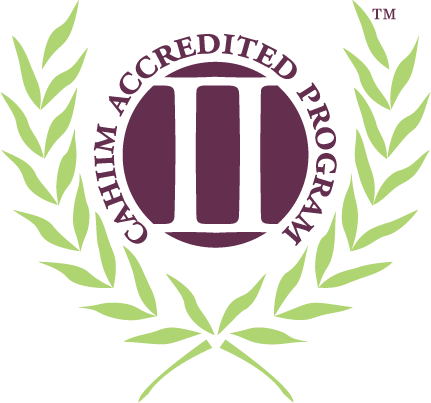 The Health Information Technology program is accredited by the Commission on Accreditation for Health Informatics and Information Management Education (CAHIIM), 233 N. Michigan Ave, 21st Floor, Chicago, IL 60601-5800. Page last updated October 16, 2018.